What is Needed for a Successful Brain Injury Claim? Head or brain injuries are often the most severe types of injuries as they can cause serious and life-changing impairments. Even seemingly mild head or brain injuries could cause some unwanted side-effects. Medical professionals may sometimes miss subtle brain injuries as it can be difficult to assess the severity of a head injury. This means that the affected person may not get the appropriate care that they require. If you have suffered a head or brain injury in the last three years that was caused by medical negligence, then you could be entitled to compensation. In order to make a successful brain injury claim, you must be able to prove that the injury was a result of the negligence of the Defendant.. The Defendant must have owed you a ‘duty of care’. The Defendant must have failed to uphold their duty of care to you known as a breach of duty. This is required to substantiate a brain injury compensation claim and it can be through either something they didn’t do, or something they did do but didn’t meet the appropriate standard of care. As a result of the Defendant’s breach of duty they must have caused you to suffer a brain injury. This is known as Causation and is often the most disputed component of any medical negligence claim. We must prove all of the elements above in order to be successful in your claim. It is for you to prove your case and not for the Defendant to disprove it. These points may make the entire process sound quite difficult and challenging, but our experienced medical negligence solicitors at BTTJ have the legal and medical knowledge required to guide you through every step of the way, ensuring that making a claim is as easy as possible. We understand how upsetting it can be to talk about what has happened and how overwhelming the consequences of negligence are. At BTTJ , we have a team of legal professionals and medical negligence specialists who are exceptionally experienced at handling these types of cases. All advice and information are treated with total confidentiality, compassion, and care. If you have suffered due to medical negligence and you would like to discuss pursuing a claim for brain injury compensation, then please get in touch with us to see how we can help. You can call us on 0800 032 2474 or you can send us an email here. There are a number of types of brain injuries ranging from an acquired brain injury (ABI) arising from birth, a traumatic brain injury (TBI) usually caused by trauma to the head or other forms such as tumor, stroke or brain haemorrhage. If someone suffers an injury to the brain, the effects can be wide ranging and can depend upon factors such as the type, locality and severity of injury. For many people who have suffered as a result of medical negligence, compensation is the only way that they can afford to cope with the life-changing effects of a brain injury and to ensure that they receive adequate care and that their dependents are also looked after. Perhaps it is someone close to you that has suffered from a brain or head injury? If that person is not able to manage their own medical negligence claim, then you can do this on their behalf. To help you understand more about brain injuries and how it might affect you, we have detailed some of the effects of brain injuries and provided more information about claiming on behalf of others. Even after a minor head injury, brain function can be temporarily impaired and is sometimes referred to as concussion which can cause further difficulties such as dizziness, fatigue or depression. The more severe the brain injury, the more pronounced the long-term effects are likely to be. Those with more severe brain injuries are likely to have complex long-term problems affecting their personality, their relationships and their ability to lead an independent life. Cognitive Functions: Impairments to a person’s cognitive functions can result in severe problems and it may restrict their ability to function independently afterward. Memory loss, changes in personality, and intellect deficits can make reintegrating with society after an injury quite challenging. This may require extended therapy to regulate or overcome. Motor Functions: The physical abilities of a person could be heavily affected which may restrict or reduce their mobility. This will increase their reliance on others for everyday activities and, ultimately, reduce their independence. The effects of the loss of independence may bring upon negative emotional reactions. Emotional Responses: Emotional responses can be altered which makes symptoms harder to diagnose or quantify. Changes in emotional responses mean that this can be more complex to treat. They can be relatively minor responses such as mood swings but they can also be significant, such as depression or apathy. What if my loved one does not have the capacity to claim? If someone close to you had experienced brain injury from medical negligence and they are not able to manage their own claim, then a trusted friend or relative will be able to bring the claim on their behalf. By claiming on their behalf, you will take on the role and responsibilities as if they were acting themselves. Generally speaking, there is a three-year time limit to make a medical negligence claim. However, in some cases where the individual has lost the mental capacity to make a claim without the assistance of others, there may be no time limit. We understand how upsetting it can be to talk about what has happened and how overwhelming the consequences of negligence are. We have a team of legal professionals and medical negligence specialists who are exceptionally experienced at handling these types of cases. All advice and information are treated with total confidentiality, compassion, and care. It is probably little known to most that General Practitioners (GPs) do not have insurance to treat you. Instead, GPs are required to be a member of a “Defence Union”, which provides discretionary indemnity arrangements in the case of a negligence claim. However, as this arrangement is discretionary, and either the GP or the Defence Union can avoid their indemnity requirements, it means that if you are injured by a General Practitioner’s negligence, they might not have the cover in place to meet your claim for damages. 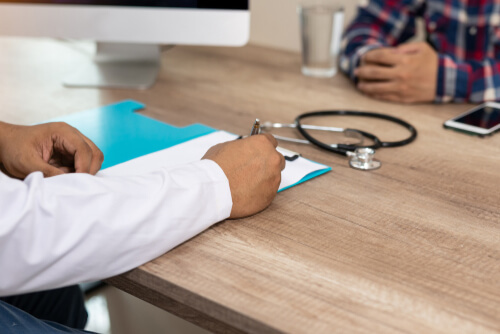 The Government has recently carried out a consultation and plans to replace existing discretionary indemnity arrangements with regulated cover, backed by the Government and similar to the arrangements with NHS doctors and hospitals. The case made by the Government to switching to a regulated model is that under the current discretionary system – and unlike commercial insurance companies – there is no contractual obligation to meet the cost of any claim against the professionals they cover and no legal obligation to ensure they have reserves to cover the cost of claims. The Government plans to ensure that all healthcare professionals in the UK are covered by an appropriate indemnity scheme so that all clinical negligence cases are covered. Not surprisingly, GPs and the Defence Unions are opposed to the proposals, fearing higher insurance premiums and that it will take away a significant amount of funding from the Defence Unions. The present discretionary indemnity arrangements also extend to hospital doctors carrying out private consultations and treatment. It is clear from the Ian Paterson (Breast Surgeon) experience that under the present scheme Defence Unions will try to avoid their financial responsibility if they can. Unfortunately, I have experienced over the years a number of cases where both GPs and private doctors have not had the appropriate indemnity cover for the treatment they are providing or that the Defence Unions have refused to indemnify the doctors under the discretionary scheme, leaving injured people without any real redress. Tom is a partner of BTTJ and Head of the Medical Negligence department. He is a member of both the Law Society Clinical Negligence Panel and the Action against Medical Accident panel and has been recognised by the Legal 500. NHS Resolution, which was formerly NHS Litigation Authority, has published research on the motivation of patients making a compensation claim when something has gone wrong with their healthcare. The research, which was conducted in partnership with The Behavioural Insights Team (BIT), surveyed 728 patients who had made a claim and looked at the incident that had occurred, how the patient felt it had been handled, how any subsequent complaint had been handled and the factors that led to the patient making a claim for compensation. BIT also did an in-depth telephone interview with 20 past claimants. The findings show that, in general, the research participants were not satisfied with the reactions of NHS staff following an incident or how their complaint was handled within the NHS. 63% of patients who responded felt that they did not receive an explanation for why the incident occurred. Only 31% said they felt they had received an apology. 71% of the people responding did not think that their healthcare provided undertook any actions to investigate the incident in the first instance. Only 6% of respondents felt that actions were taken that would prevent the same incident happening again. The majority rated the response to their complaint as ‘poor or very poor’ in terms of accuracy, empathy, speed of the response and level of detail. Wanting to prevent similar things happening to others. Wanting to receive an apology or an explanation for the incident, or to trigger a detailed investigation of the incident. Wanting the clinicians involved to be held to account. Emotional responses (e.g. frustration and anger) brought about by poor incident or complaint handling. Full details of the research conducted can be found on the NHS Resolution website. Solicitor Cheryl Bereza & Paralegal Angus Buchanan answer some commonly asked questions about medical negligence claims in a new series of videos. In the first 2 videos, they take a look at how you go about making a claim. If you would like to discuss a medical negligence case, please get in touch with us. The Ministry of Justice consultation “Personal injury discount rate: how it should be set in future” closed on 11th May. The consultation was first opened in March and is aimed at people and organisations with an interest in personal injury claims and damages in the UK. You can read Nestor’s full response to the consultation here. We now await the feedback from the Ministry of Justice.